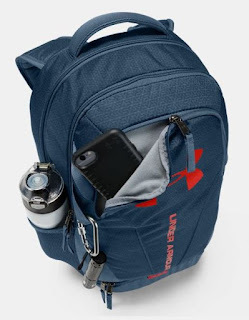 Right now Under Armour 25% Off ALL Backpacks, Training Gear + Free Shipping. My favorite is this *BEST SELLER* UA Hustle 3.0 Backpack *BIG COLOR SELECTION* for $41.24 (Retail $54.99). WOW!!!! 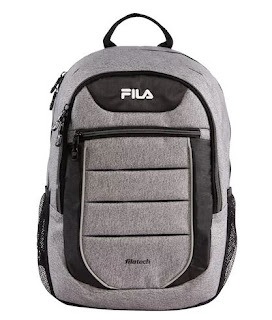 Right now Kohl's is offering Up to 50% Of FILA Backpacks and Lunch Bags for Kohl's Cardholders! Ending today (8/12) Kohl's Cardholders Save 30% with code TRENDY30 and Free Shipping with code MVCFREE18 at checkout AND $10 Kohl's Cash for every $50 you spend. NOTE: Not a Kohl's Cardholder? Use QUICK15 to score 15% off your order. 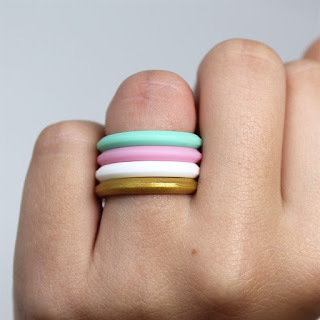 My friends and I ALL LOVE these *POPULAR* Stackable Silicone Rings JUST $1.99 (Retail $5.99). Silicone rings are the new must-have accessory for your active lifestyle. Mix and match these stackable rings in a variety of ways. These come in 10 color options and at this price, you will want to buy one of each! $2.99 for the first item and free for each additional item. US only. Seller usually ships within 3 business days. Ships no later than Sat, Aug 18. 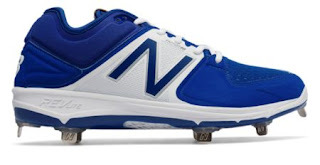 Check out these Men's Metal 3000v3 Men's Team Sports Baseball Shoes for $29.99 (Retail $94.99). 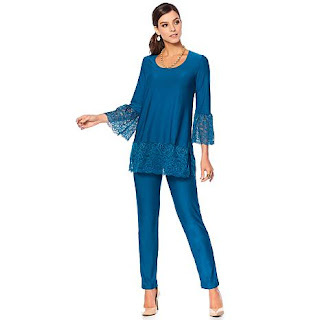 Today ONLY - HSN has this Slinky® Brand 2-piece Lace Trim Tunic and Pant Set for $47.95 (Retail $92.90). Add a feminine touch to your wardrobe with the beautiful lace detail of this comfortable set from Slinky. It's the perfect polished look for special events, vacationing and more. For easy looks that are always ready to go, Slinky has you covered. I'm ready for a new download, any suggestions? 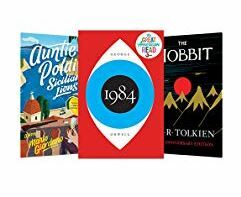 Today ONLY, $2.99 on select Kindle Best Sellers. Apple users can download the Kindle app to get these freebies too! Check out more FREE ebooks HERE! 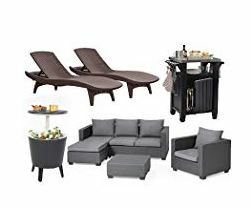 Right now you can Save up to 40% on Keter Outdoor Furniture Selection $53.97 - $472.79. 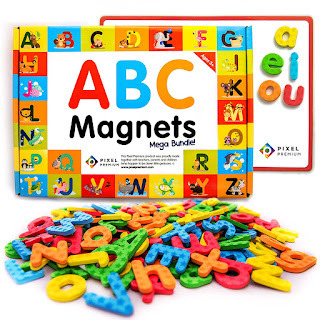 Today ONLY - Pixel Premium ABC Magnets for Kids Gift Set - 142 Magnetic Letters for Fridge, Dry Erase Magnetic Board and FREE e-Book with 40+ Learning &amp; Spelling Games - Best Alphabet Magnets for Refrigerator Fun - $15.99! •THE ULTIMATE LEARNING GIFT – Designed by parents and teachers, this set contains everything you need to build vocabulary, improve spelling skills and make learning more fun and easy than ever before. The educational e-books are designed especially for use with iPads and tablets for maximum interactive fun. The magnetic board is dry erase marker friendly and double-sided too! •THE MOST LETTERS FOR THE MOST FUN – Unlock hours of creativity and spell whatever you want. Don't be stuck for enough letters like other sets. With 142 magnetic letters, including 90 lower case 52 upper case, teach literally thousands of words to your little genius. •THE SAFER, SUPERIOR CHOICE – Your child's safety comes first. That's why this set is fully designed and certified to ASTM American Toy Safety Standards. Accept nothing less. Enjoy peace of mind knowing these letters are made of non-toxic eco-friendly foam material. The entire back of every letter is covered in protective rubber casing, so you'll never worry about loose or exposed magnet pieces ever. Order now and get ready to transform your little one's love for learning! Right now The Children's Place is offering All Boys' AND Girls' Short Sleeve Polos $4.99 (Retail $10.95). Earn Place Cash too! Get $10 for every $20 you spend. Free Shipping EVERY Day! No Minimum Purchase Required.